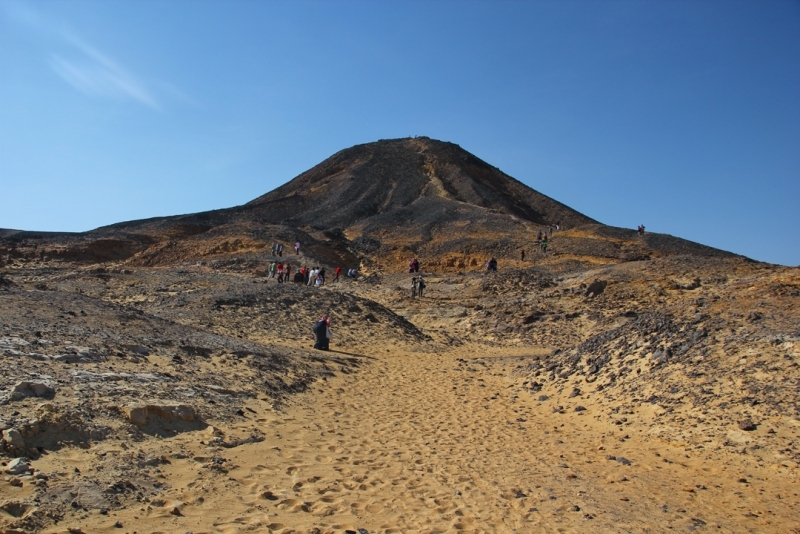 About 4 to 5 hours drive from Cairo is the location for the Black Desert in Egypt. Situated close the the White desert, it is a region most popular with tourist looking to escape the usual sites in Egypt for an adventure of a different kind. The landscapes in this region are most spectacular. Situated in what is known as the Western Desert region, it is an uninhabited area due to the dryness of the desert plains with intense summer temperatures. 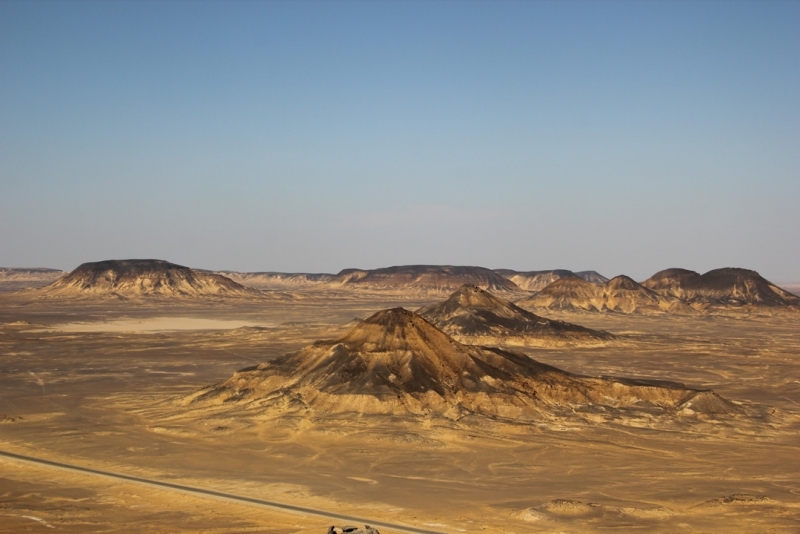 Unlike its neighbour the White Desert, the Black Desert is in stark contrast with volcanic shaped mountains often resembling a scene from a Star Wars movie. The mountains and floors are scattered with small volcanic black stones lying on the orange and brown coloured sands. 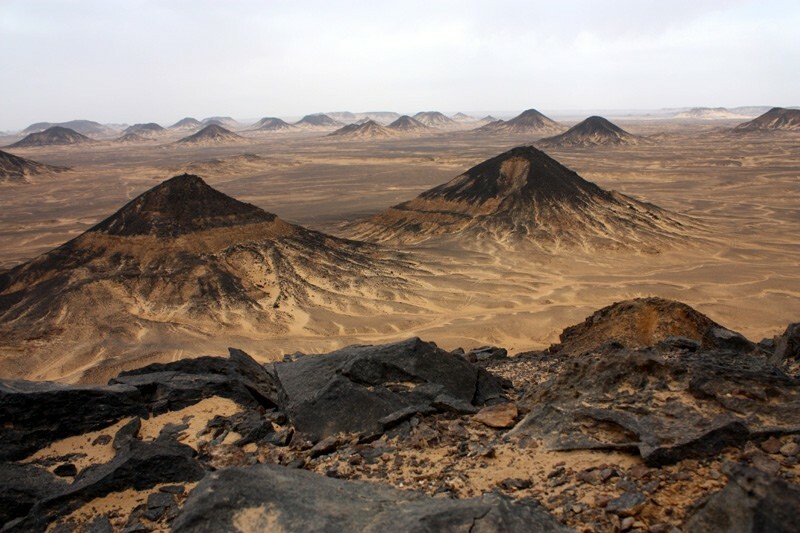 it is possible for people to climb the soft peaks with lovely views across the desert area and take some picturesque photographs. 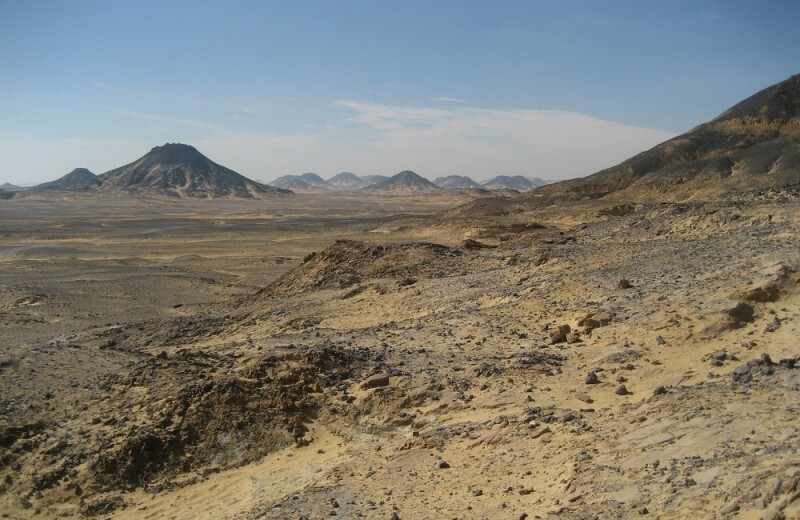 The Black Desert is a ‘passing through’ point due to no facilities around as it is totally uninhabited The landscape is of secluded plains with the dunes (small mountains) being of different sizes and formations. 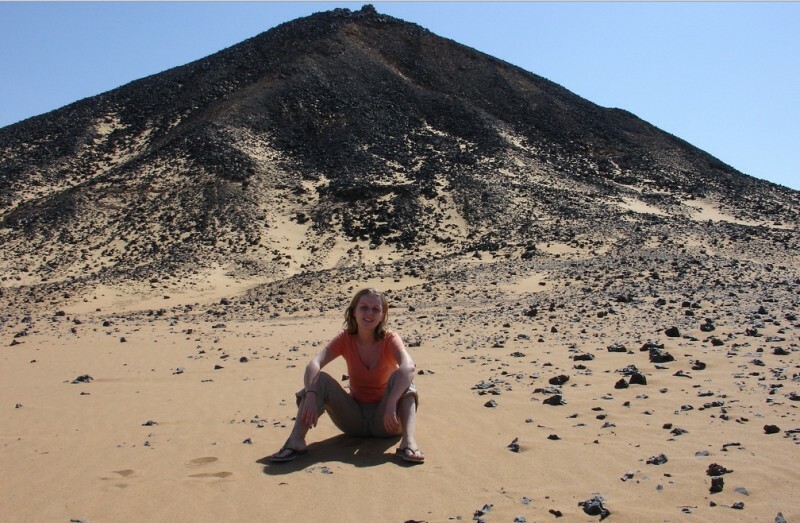 Rather than being considered as mountains, they are more like volcanic cones rising out of the desert.